Abbas Kayonga, former anti-fraud commission chief for the South Kivu Province of DRC was jailed for life by a military court in Bukavu on 20th March 2018 on charges of rebellion, murder and the illegal possession of weapons. Mr Kayonga and the South Kivu Anti-Fraud Unit were also previously involved in unwarranted interference in traceability, seizures of minerals, and questionable statements, including some as the basis of an earlier Al Jazeera report. The Unit has featured in many ITSCI incidents relating to allegations of corruption and mineral fraud and it is positive that they are no longer potentially involved in the mineral business. Mr Kayonga was dismissed by the provincial governor on November 2nd 2017 for ‘grave negligence’, including allegations of fraudulent trafficking of beer and semi-precious tourmaline stones. He was arrested by UN peacekeepers in Bakavu after a gun battle with his bodyguards in which six people were killed and several injured. Weapons, cash and a body were found in his home. 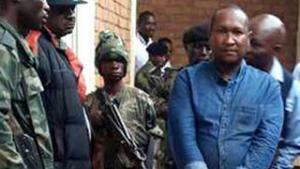 He and 13 others were sentenced to death without appeal and transferred to Kinshasa. Such sentences are automatically commuted to life imprisonment in DRC. A further 13 were sentenced to between five and 20 years in prison.